With one in five mortgage payments being overdue in Ireland and families across the country having their homes repossessed, some of the debtors are hoping for bankruptcy to do away with their endless fear of losing their properties. Julia Godsill, a Dubliner, can hardly hold back her tears, when retelling her not uncommon mortgage saga to RT’s Tesa Arcilla. When she bought her house the Irish economy was still the “Celtic Tiger” enjoying its boom time. After the credit crunch of 2008, Julia could only watch as her mortgage became too high for her to be able to pay, while the value of her house itself went down. The Central Bank of Ireland figures, released on November 28, show Julia could be one of at least 141,520 homeowners in arrears on their residential mortgage loans. That means roughly 20 percent of Irish mortgagees are living in fear of losing their homes. “I could barely put one foot in front of the other because I couldn't sleep at night,” Julia describes her mortgage distress. “I thought about things, I got up and then I went back to bed again, and I couldn't do anything at all. All I could think about was this debt! And I had no way out,” Julia Godsill tells RT. Homeless organization, Focus Ireland, estimates that 16 families are losing their homes each month in the capital. 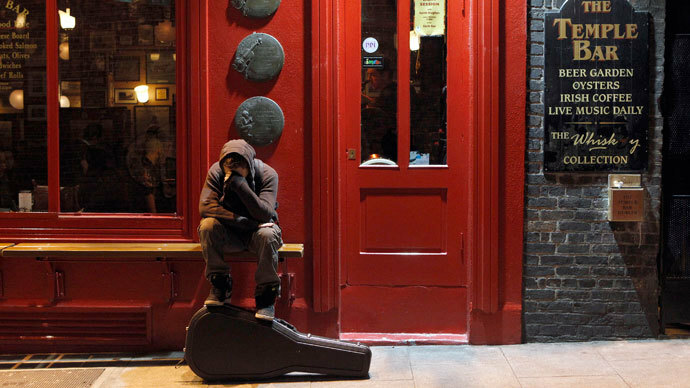 Finding oneself out in the streets is particularly bitter as Ireland is officially recovering. 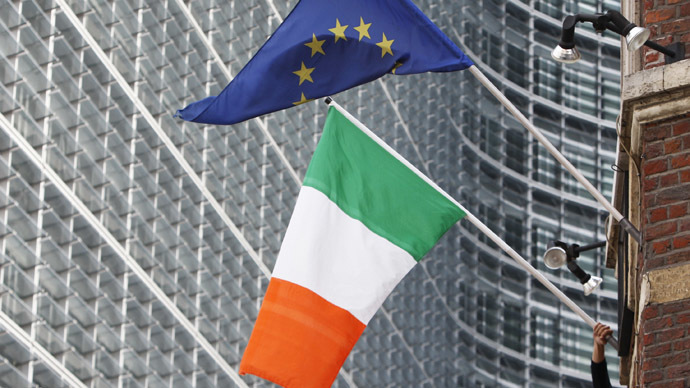 The country’s three-year-long EU-IMF bailout came to an end in December. The Irish prime minister, Enda Kenny, acknowledged in his address to the nation, that “the recent improvements in the economic situation have not yet been felt” in everybody’s daily lives. He urged the banks to review their policies. “We will require the banking system to become a contributor to the economy, rather than a huge drain on it. 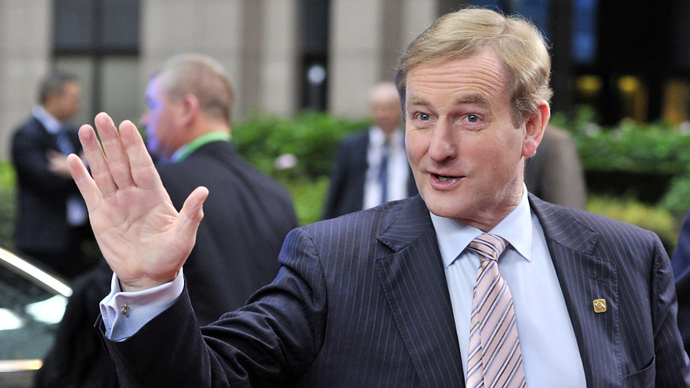 The banks must do more to deal with mortgage distress and to provide access to credit for small business,” Kenny said. Much tougher criticism of the banks came from the Irish Mortgage Holders Association, an NGO, trying to help in-debt homeowners not to lose their properties. The bursting of the Irish real estate bubble in 2008 was a real blow to Irish banks heavily dependent on property lending. Although the banks’ policies had been widely criticized, the major ones were eventually bailed out by the government. “We can measure how much the bailout has cost us in monetary terms, we have never evaluated how much this has cost us in emotional and mental health terms,” Hall said. The emotional cost appears to be high enough to make Julia Godsill actually wish for bankruptcy, simply to put an end to her mortgage nightmare. 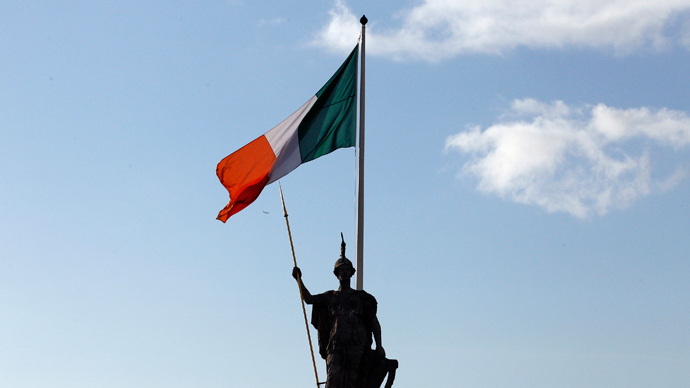 Bankruptcy might indeed now become a way out for Irish homeowners. According to a new law, which was passed in December under the Personal Insolvency Act, a person would automatically be discharged from bankruptcy after three years, as opposed to the current 12-year term. Bankruptcy thus becomes less punitive and costly and is a glimmer of hope for those caught up in the mortgage trap. For more on distressed mortgages in Ireland, watch RT Tesa Arcilla’s report from Dublin.